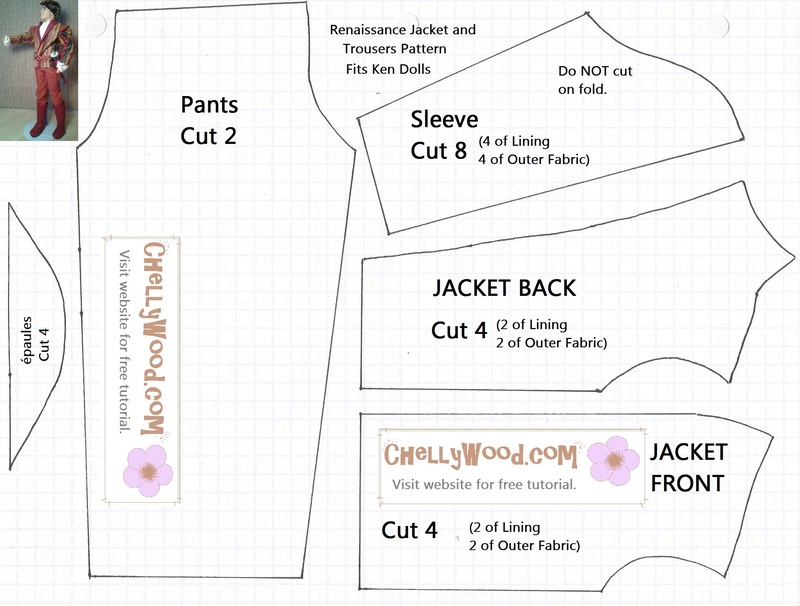 This week, on ChellyWood.com, I’m going to show you how to make various kinds of pants for Ken or Barbie. I’ll start with my most popular video, the basic pants with a snap for Ken dolls. Then, throughout this week, I’ll show other styles, including elastic-waist pants, bi-colored pants, and the pants I’ve made for Romeo in my upcoming Barbie/Ken/Momoko version of Shakespeare’s famous tale of star-crossed lovers. Here’s the link to the pattern for these basic snap-closer pants. As always, show your appreciation by liking, linking, pinning, and/or tweeting. And remember to enlarge the pattern to fit a regular-sized piece of computer paper.